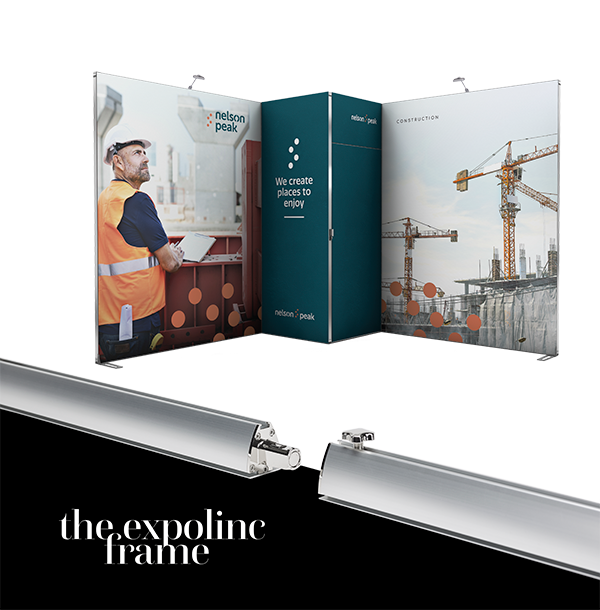 Expolinc Frame is our latest contribution to the display market. It is a very flexible profile system for fabric graphics and is suitable for anything from small foyers to large exhibitions. It requires no tools or specialized labour to set up. The unique magnetic connectors guide you to a smooth, stable and safe installation. The systems design is smooth with rounded edges and the profiles have a high surface finish for a stylish impression.